The Trade Union Congress President, Mr. Bobboi Kaigama has described the position of it counterpart, The Nigeria Labour Congress, NLC in the struggle to quell government decision to hike the pump price of Petrol from N86.50k to N145. The TUC President said that the NLC came to the negotiation table with only one item, which was that the price of fuel be reverted to N86 per litre, even though the meeting with government afforded labour opportunity to address the contending issues once and for all. 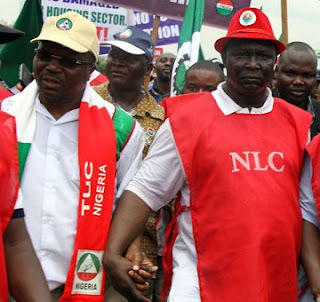 Meanwhile, the Nigeria Labour Congress (NLC) has stated that posterity and Nigerians would judge the positions of the two labour centres, the NLC and the Trade Union Congress (TUC) in the ongoing battle for the reversal of the pump price increased by the Federal Government last week. The National Trustee of the NLC, who is also the National President of the National Union of Chemical Footwear Rubber Leather and Non Metallic Product Employees (NUCFRLANMPE), Boniface Isok, said rather the TUC has been inconsistent and proved unreliable since the inception of the unification of the two labour centres in the planning of the proposed strike. “I don’t know what is the problem of Kaigama. Initially the two centres were directed to meet their separate bodies and later come together for harmonisation of thoughts, but with the mandate that none should divulge their respective decisions to the press. 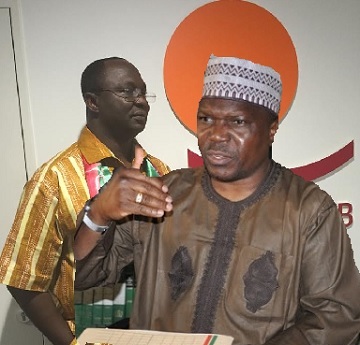 “But TUC, after its meeting, went ahead to give the Federal Government ultimatum before the harmonisation meeting on Saturday,” he said. He stated that NLC was not a party to the two agenda that the TUC President was talking about because after harmonisation on Saturday, the common agenda by the two centres was for the government to reverse or the commencement of the strike on Wednesday. On Joe Ajaero, Isok said the factional leader was only out to sabotage the NLC not because he does not support the NLC strike but to show that he exists. “When we met, there was nothing like Federal Government talking to Ajaero. Everybody was working for the same purpose, including Ajaero. He cannot say he was in support of the new increase but he just saw this as an opportunity to sabotage the efforts of the NLC,” he said. He maintained th‎at all what the NLC was doing was to provide leadership for Nigerians, which they have been able to do within these two days that the strike has commenced. “Nigerians already know the truth and the future will tell whether we are fighting for ego or not. At the end we shall all know the truth,” he stressed. Meanwhile the Nigeria Labour Congress (NLC) said it could only react to TUC after reading the text purported to have emanated from its President. The NLC Deputy Presient, Peter Adeyemi, said the congress would not want to be quoted of context neither would it like to join issue with TUC. The TUC also decried the reaction of NLC to the government involving the Comrade Joe Ajaero-led faction of the Congress in the negotiation. According to Kiagama, the NLC was on an ego war to the detriment of the Nigerian masses. “NLC took the strategy of government negotiating with Joe Ajaero’s faction as a slap on their face. Then I told them; let’s see this beyond personal or group interest but in the interest of Nigerians. So I didn’t see their insistence on N86 as based on patriotism but on the basis that government decided to bypass them and go into discussion with Ajaeo group which is normal for any human being. Considering that we have been working behind to end the factionalism within NLC and, I had expected that this negotiation would have been a genuine starting point. I believe if factionalism was not there, we would have easily solved our problem on this issue because the issue of dialogue would have continued. But the problem started with the Ajaero’s group and this is the long and short of the story,” he stated. Mr. Oshinwo said NECA’s members saw the merit in the attempt by the federal government to tilt towards deregulating the oil sector, and stood by them on it. He called on the association’s members to shun the Labour planned strike slated for Wednesday. In a similar vein, the umbrella body of pilots and aircraft engineers, the National Association of Aircraft Pilots and Engineers (NAAPE), on Sunday, unanimously expressed their resolve to back out from the planned strike on the premise that the federal government’s move on the fuel price hike was commendable, adding that oil subsidy was a fraud. “As far as we are concerned, Nigerians should go ahead with their travel plans. The truth is that the industry itself is already being affected by the current challenges in the country and any move to shut down the aviation sector will lead to a total collapse of the sector. “The government should use the money that will be saved to put in place infrastructures that will create jobs for Nigerians; ensuring that our refineries are working optimally, and encouraging local production to ameliorate the temporary hardship the citizen are going through. “We need more jobs to be created for our pilots and engineers, while reiterating our unalloyed support for this novel and bold decision the federal government has taken to secure the future of Nigeria,” NAAPE President, Isaac Balami, said. 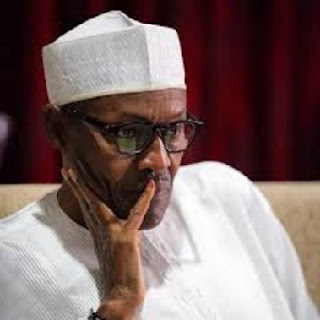 It would be recalled that the National Union of Petroleum and Natural Gas Workers (NUPENG) and the Petroleum and Natural Gas Senior Staff Association of Nigeria (PENGASSAN), supported the federal government’s decision to stop the payment of petrol subsidy. The Nigeria Labour Congress(NLC) will resist the increase in the price of Premium Motor Spirit, announced by the government on Wednesday, a statement has said. The statement, issued by NLC General Secretary, Dr Peter Ozo-Eson, in Abuja on Wednesday, described the increase as insensitive. It said with “the unjustifiable electricity tariff and other economic challenges brought on by the devaluation of the naira and inflation, the least one had expected was another policy measure that would make life miserable for the ordinary Nigerian. The statement said NLC through its previous statements and communiqués had stressed the need for the reconstitution of the boards of NNPC and PPPRA. The statement accused the Minister of State for Petroleum, Dr Ibe Kachikwu of having overbearing influence and acting as a sole administrator. It said the allusion to the fact that the increase was arrived at after due consultation with stakeholders was ridiculous and fallacious. “It goes to show that the brief meeting held today during which government was advised to shelve the idea until, at least, it meets with the appropriate organs of the Congress was in bad faith. “Already, an emergency NEC meeting has been scheduled for Friday, May 13, to decide on the next line of action,” the statement said.. It called on affiliates, state councils and civil society allies of the Congress to commence mobilisation immediately. NAN recalls that the government on Wednesday announced an increase in petrol pump price from N87 to N145 per litre in an effort to stabilise the price of the product.